Steve Cishek throws from such a low arm slot that it can be tough for hitters to pick up his pitches under normal circumstances. 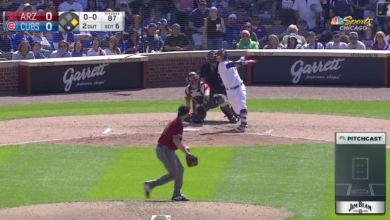 But when he’s releasing his sinker/slider combo from nearly identical spots with an identical delivery, the man in the box might as well be bound in chains. One pitch drops down over the inside corner, the other zips off toward the outside. And with an 11 mph velocity difference, to boot. May as well just swing and hope you guess right, which the first two Pirates hitters Cishek faced Thursday night did not.